Ontario's Crystal Lake festival is set to return for its second edition this July, and organizers have lifted the curtain on the lineup for this year's event. Los Angeles psych rockers Spindrift and Ontario country rock mainstays the Sadies are set to headline the festival, which takes place July 27 to 29 at Frontier Ghost Town Campground in West Grey County, ON. 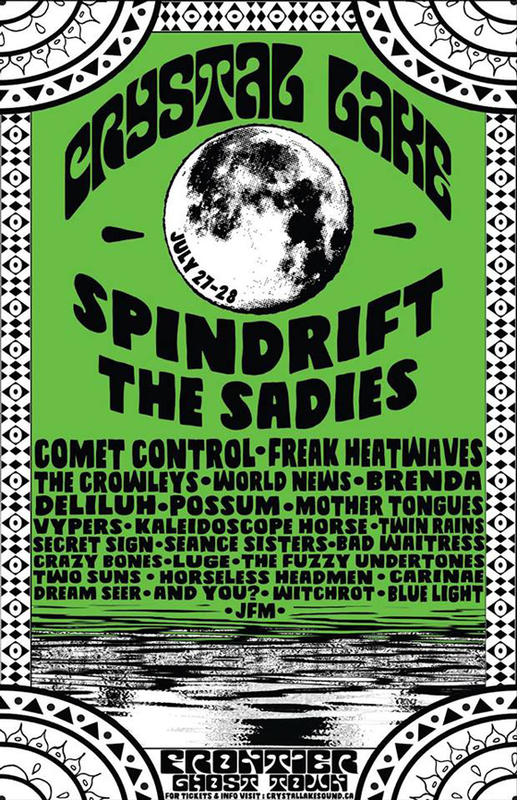 The lineup is also set to feature Comet Control, Freak Heat Waves, Possum, Crazy Bones, Brenda, Kaleidoscope Horse, Carinae, Fuzzy Undertones, Mother Tongues, Bad Waitress, Deliluh, Vypers, the Crowleys, Luge, Seance Sisters, Two Suns and more. A press release notes that a final lineup is set to be made closer to the end of June. Weekend passes to the festival are currently on sale at a discounted price of $80 (including camping) until June 15. They can be found through the fest's official website. Keep up to date with further festival details through Crystal Lake's Facebook event page. Watch a trailer for the fest in the player below.